This month will feature and highlight a few of my good blog and twitter friends. The entire month will be dedicated to all things thrifty. Here is the schedule of events. Mini Makeover Mondays: Here we will look at makeovers that were not HUGE but is certainly worth mentioning. 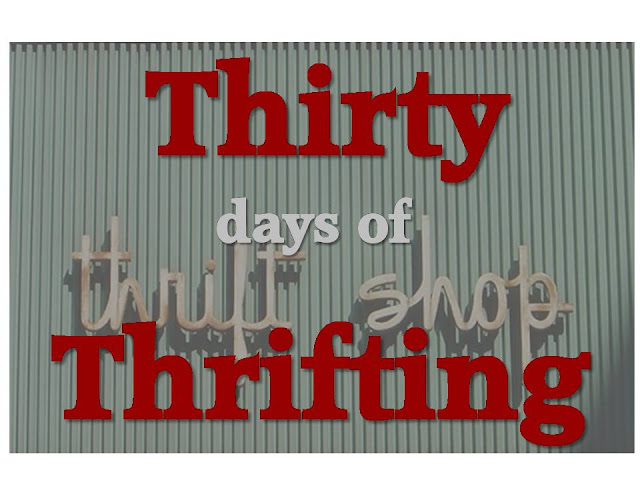 Talking Tuesdays: On this day I will present an interview from major players in the thrift community. WOW Wednesdays: Here I will highlight one or more WOW transformations from people that incorporated thrift items and transformed their spaces dramatically. Thrift Tip Thursdays: Panel discussion. I asked a number of persons to participate and here are those that responded to offer upp their advice on thrifting. Please make sure you drop by and add your comments. Click on their headers to visit their WONDERFUL spots, brimming with inspiration. Sleepy Saturdays: I will highlight one or more bedrooms that are just amazing...with a thrift thrown in. Save me Sundays: I will highlight products that can save any ole item and make it into something worth talking about. If you have a project you want me to feature, please email me or tweet me. Id love to hear from you. DONT FORGET THE GIVEAWAY...it ENDS TONIGHT!